I stumbled upon Mai Lap Lanh’s Instagram page some time ago and her food postings caught my foodie-eyes. I have always wanted to try authentic Vietnamese cooking, so a few months later I found myself in Mai’s kitchen, learning patiently how to prepare Pho and Vietnamese spring rolls, much to the impatience of my tummy. Hailing from Hanoi, a culturally rich province in the north and the capital of Vietnam, Mai’s youth was spent entirely in the hometown. On a solo backpacking journey to Siem Reap, Mai accidentally met her Malaysian husband. 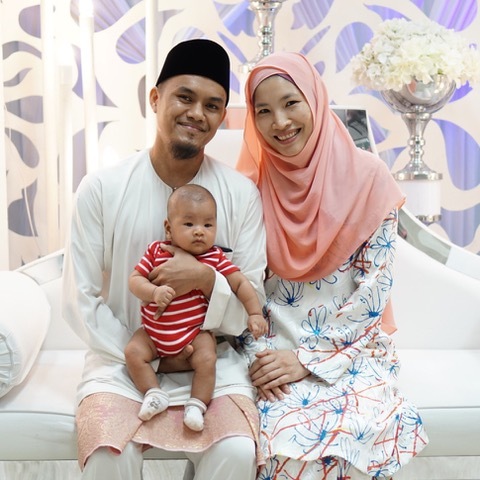 Naturally, Mai decided to settle down in Malaysia with her husband to start a family. “I do miss my family, but what I miss most about my homeland is the food,” she admitted. She finds it very hard to find authentic and delicious Vietnamese cooking in Malaysia, so to satisfy her longing she decided to recreate them at home. In Malaysia Mai began cooking mostly for her fellow Vietnamese, who also missed the food from home. Although she only cooked pork-free and halal food, as she is a Muslim convert, everyone loved her cooking and kept on coming back. After a while, a friend suggested she join Plate Culture, a global social dining platform, in which the host cooks in their own kitchen for guests interested in the authentic dining experience. Aptly named “From Mai Home,” she originally intended to attract expatriates and travelers, but it turned out that most of her guests were actually local Malaysians. “Malaysians love Vietnamese food. My husband had never lived in Vietnam before, but he is a huge fan,” she said. Vietnamese food leans towards appreciating the freshness of the food through simpler techniques of cooking. Malaysian food, on the other hand, has more complexity in terms of ingredients, techniques, and combination of flavors. Due to this differences, obtaining ingredients locally to recreate authentic Vietnamese cuisine is challenging for Mai, so her solution is to stock up on the essentials by hand-carrying them from Hanoi. In her cooking class, one will get to see the common tools used by the Vietnamese in preparing their dishes, as well as the completely unfamiliar sight of dried herbs and condiments. Running ‘From Mai Home’ has given Mai the opportunity for to introduce a variety of Vietnamese cuisines to people, beyond the popular Pho, Banh Mi, and spring rolls. Through food Mai has been able to keep her connection to her homeland alive, while educating people about her country and its culture. 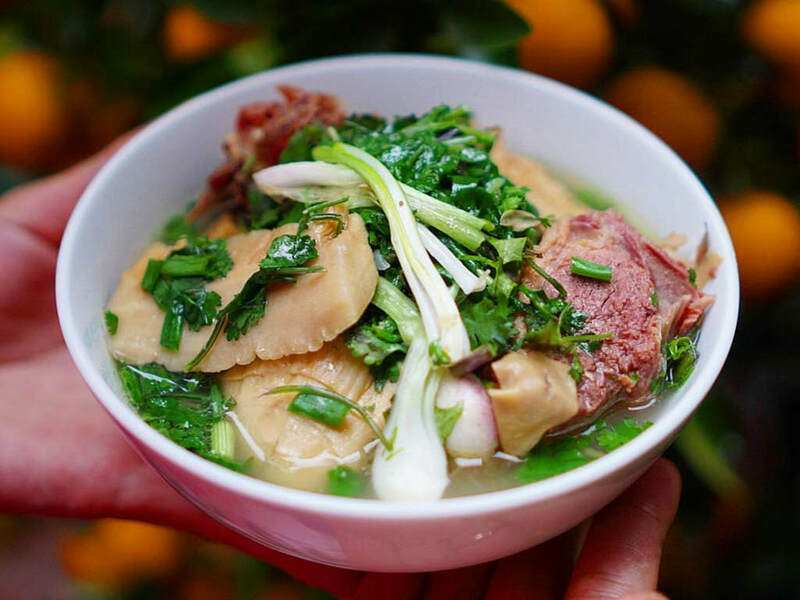 “There are moments when I could cry in joy over a bite of my homeland food that I have longed for so long,” said the proud Vietnamese. For instance, Mai introduces Vietnamese fish-sauced chicken wings. “I love the sticky, shellac-like layer of fish sauce studded with garlic on a crispy fried chicken wing. It’s the perfect balanced combination of sweet and salty that Vietnamese foods are known for, and in essence, a process of caramelization that results in a perfect finger-licking lacquer of fish sauce, sugar, chili, and garlic,” she wrote on her Facebook page. Now that she is a mother to a beautiful baby boy, Mai plans to emulate the same food traditions in her own little family, with hopes that it will help to instill Vietnamese roots in her children. Ayuni is a freelance writer and mother of two from Malaysia. She enjoys listening to people and writing about their stories, hoping to spread inspirational vibes whenever she can. When not writing, she’s busy running the household, daydreaming about traveling or doodling in her journal.